The definition of a model by Gill et al. (1989) describes the CNCPS; an integrated set of equations and transfer coefficients that represent the various physiological functions in cattle and sheep. Included are predictions of tissue requirements (maintenance, growth, pregnancy, lactation and tissue reserves), and supply of nutrients to meet requirements (feed carbohydrate and protein fractions, their characteristic digestion and passage rates, microbial growth, intestinal digestion and metabolism of absorbed nutrients). The purpose of a model is to describe mathematically the response of each compartment or several connected compartments to a variable or combination of variables. A model is considered to be mechanistic when it simulates behaviour of a function through processes operating at a lower level (Gill et al., 1989). Most biological responses are integrated, nonlinear and dynamic (Sauvant, 1991). A model that is totally mechanistic will accurately simulate whole-animal metabolism under all conditions with little risk of use but such a model is beyond the capability of existing science (Gill et al., 1989). Furthermore, ration formulation models are limited by the quality and availability of information about all of the model compartments, and by the amount of data and work needed to test and validate the functions of such a model. 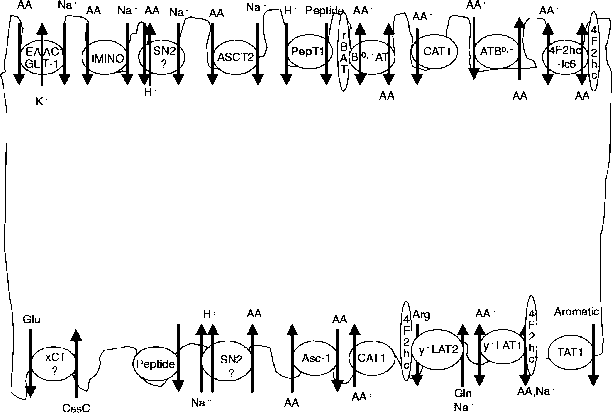 The knowledge of metabolism of nutrients is not as advanced as the prediction of ruminal fermentation, because of the almost infinite metabolic routes connecting various tissue and metabolic compartments, the multiple nutrient interactions, and the sophisticated metabolic regulations that determine the partitioning of absorbed nutrients (homeorhesis and homeostasis) (Sauvant, 1991). Therefore, the CNCPS model uses a combination of mechanistic and empirical approaches, assumes steady-state conditions, and uses statistical representations of data that describe the aggregated response of whole compartments (Fox et al., 2000b). A key challenge in modelling ruminant nutrition is in determining the most appropriate level of aggregation of knowledge (whole animal, physiological function, cellular, subcellular, etc.). The most critical step is to describe the objective of the model, and then to determine the appropriate mix of empirical and mechanistic representations of physiological functions needed to meet the objective. These decisions are made based on the availability of development and validation data, whether the needed inputs are typically available, and a risk-benefit analysis of the increased sensitivity (Fox et al., 1995, 2000b). Because the CNCPS model is used on farms, it must be able to accurately predict animal requirements and supply of nutrients from inputs that are routinely available on most farms, it must provide output that will help producers improve their feeding programmes, and the risk of use must be small. To continue to be a tool to apply current scientific knowledge, it must have a structure that can be readily updated and refined as new knowledge becomes available. The CNCPS model contains a biologically based structure to evaluate diets for all classes of cattle (i.e. beef, dairy and dual purpose) and sheep based on consideration of the existing animals, feeds, management, and environmental conditions. The approach taken and level of aggregation of variables are based on our experience in working with farmers and consultants to diagnose animal performance problems, and to develop more accurate feeding programmes. Over 20 years, separate submodels that can be classified by physiological function have been developed and refined: (i) feed intake and composition, (ii) rumen fermentation, (iii) intestinal digestion, (iv) metabolism, (v) maintenance, (vi) growth, (vii) pregnancy, (viii) lactation, (ix) reserves, and (x) nutrient excretion. New information has been periodically incorporated into these submodels. The user must have some nutritional knowledge to use the CNCPS because of the risks associated with not knowing how to choose inputs and interpret results. However, with training and experience, the CNCPS can be used to evaluate the interactions between animal type, production level, environment, feed composition and management to predict amino acid balances. The following sections summarize how requirements and supply of amino acids are computed in the CNCPS model.